Your Voice. Your Stories. Bridging time, distance and generations. We want to make the world a bit better, to make life a bit easier, to make a product people find useful. Our success is measured by the impact we have. 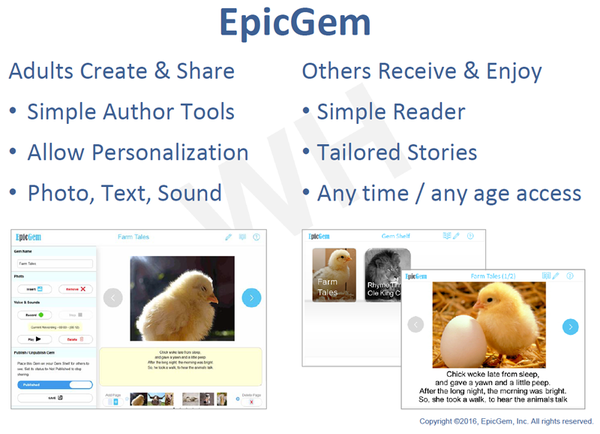 EpicGem is a creation, capture and sharing platform allowing users to easily personalize their photos, stories and memories for others to access and enjoy - regardless of time, distance or age.